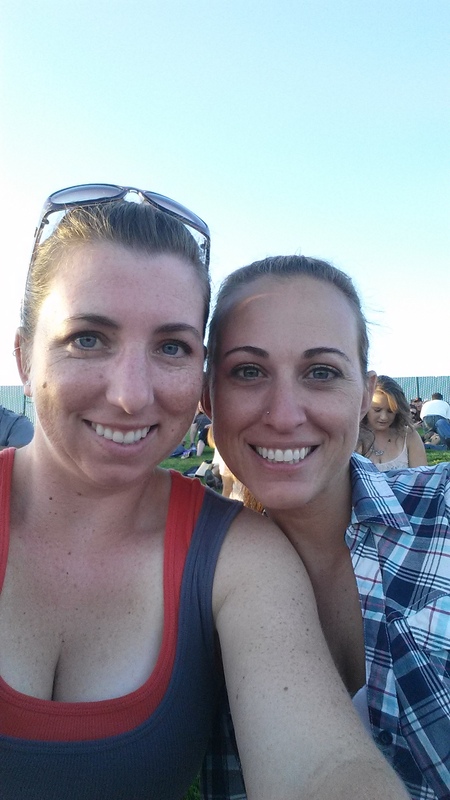 Last weekend I met up with my friend Amber and headed out to see Brad Paisley‘s Beat This Summer Tour at the Sleep Train Amphitheater. I love going there and getting lawn seats… there’s something so much fun about laying out a blanket and just hanging out. This show ended up being kind of interesting… there were lots of drunk cowboys around. So many, in fact, we saw three actual fist fights. Drop down, chests puffed up, roll on the ground fist fights. It was pretty entertaining! The concert itself was really good. 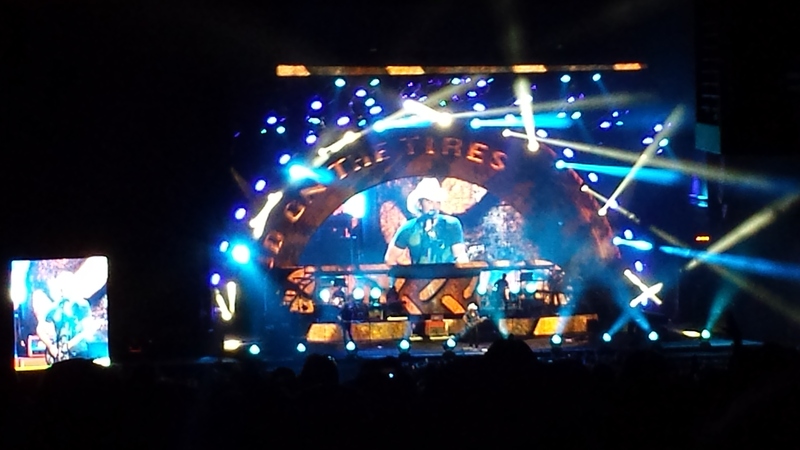 Lee Brice opened the show and was followed up by Chris Young. I went into the show thinking I didn’t know very many of either of their songs, but was pleasantly surprised to find out that I did. They were both awesome live… and as you know, that’s a huge thing for me wither performers. After those two came Brad Paisley. I’ve seen him once before and loved him… this time was no exception. He can seriously play guitar. Like seriously. I love his music… he sings really great love songs. He even had a Carrie Underwood hologram for his song “Remind Me”. Amber and I spent a decent portion of the song trying to figure out if she was real or not… so it was pretty convincing! Let the summer of music continue!